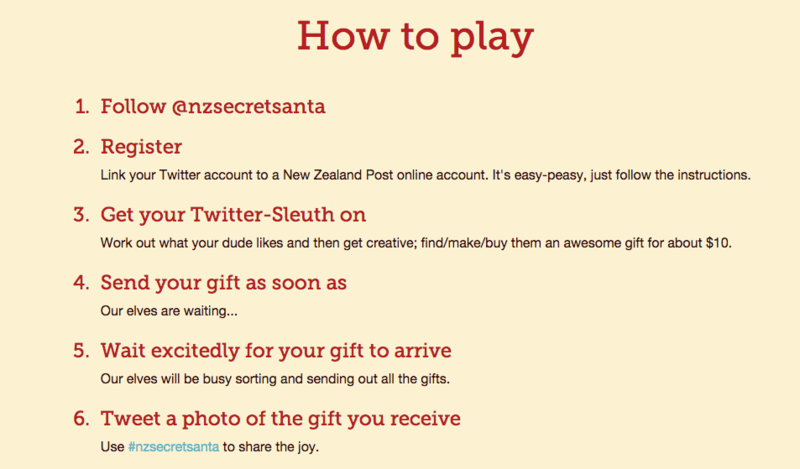 In 2010 @websam created Secret Santa for the Twitter folk in New Zealand. By 2012 it grew larger than his giant pumpkins and he needed help. He put a call out to the Twitter community. 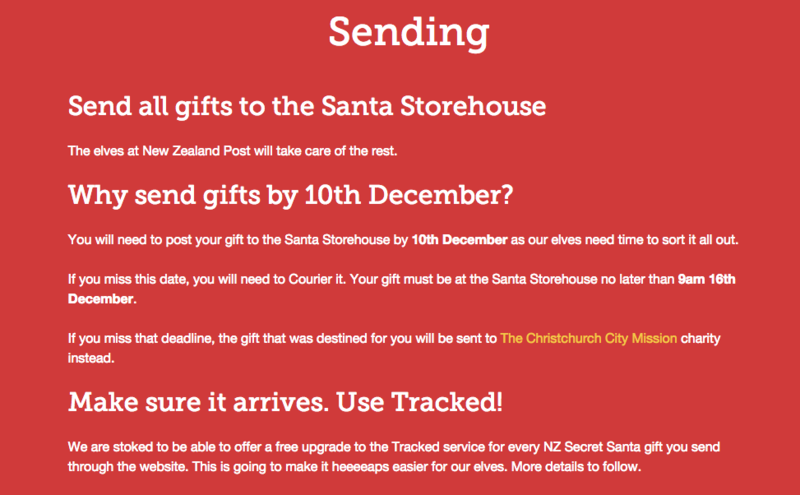 Some folk from New Zealand Post reached out and now #nzsecretsanta has a Santa Storehouse so that you don’t have to hand out your physical address, an elf service that stores the gifts and will only send out gifts to those Secret Santas who have actually sent a gift. We’ve attached all the important bits you need to know such as the important dates and how to play! Check out the official website for more in depth information and don’t forget to register now to secure your spot! 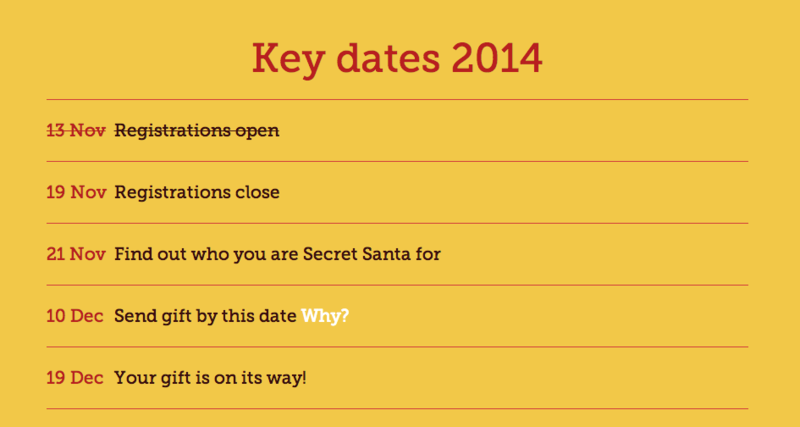 New to #nzsecretsanta and want to know more? Click here. This is my first year taking part and needless to say, I’m a little excited as my online stalking skills are pretty polished. 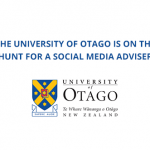 A big shout out and thank you to Sam for starting such a cool and fun tradition for the NZ Twitter community to take part in.